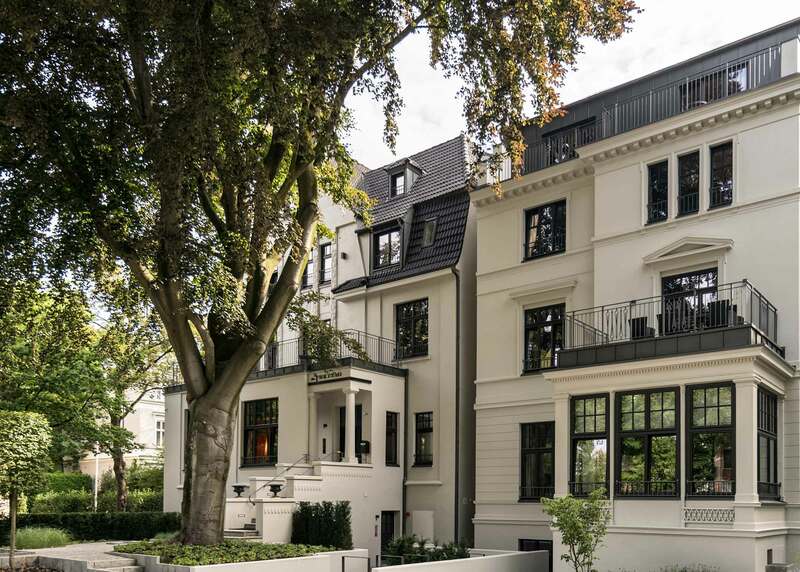 Built in 1900, the classical ensemble of two connected houses was completely renovated in 2015-2017 to ensure extensive substance preservation combined with use-oriented modernization and sustainability. This includes the thermal upgrading of the outer shell and roof construction for lower energy consumption. The house has been optimized for maximum living comfort in terms of construction, climatic and acoustics physics. 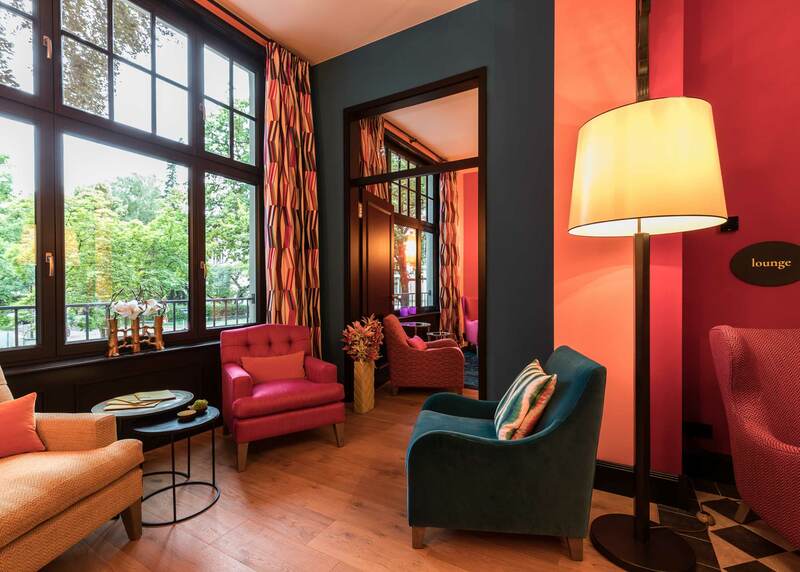 The designer Sibylle von Heyden was inspired by the “Bel Etage,” the upper-class salon culture of the “Gründerzeit.” The eclectic design endeavours to revive history – bold, colourful, communicative – with matching materials and fabrics, as well as old and new forms. The furniture and lighting have been especially designed for this purpose and crafted to the highest standards. In front of the house, surrounded by yew hedges, groundcovers and hydrangeas, our beautiful, old European beech stands amidst small paths paved with natural stones. Behind the building, our green, peaceful oasis welcomes every guest. 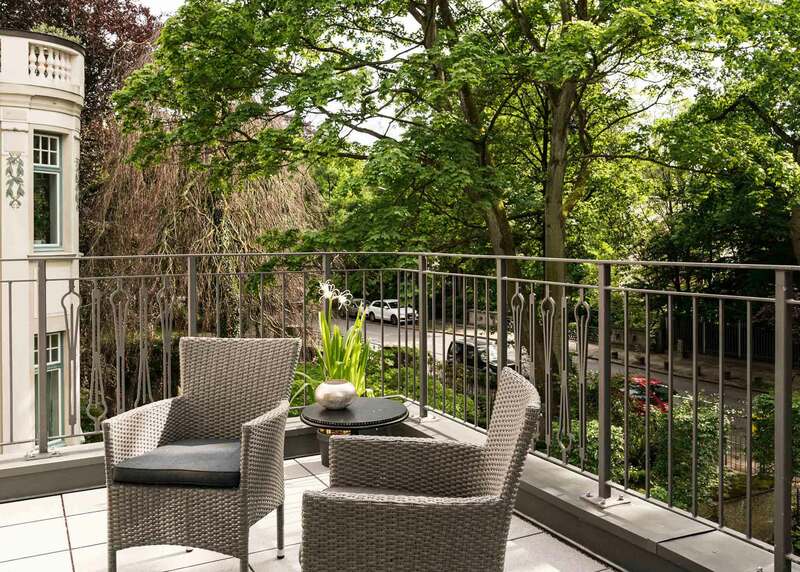 Take a seat on the small terrace or the manicured lawn, and relax on comfortable garden furniture right in the middle of the city. 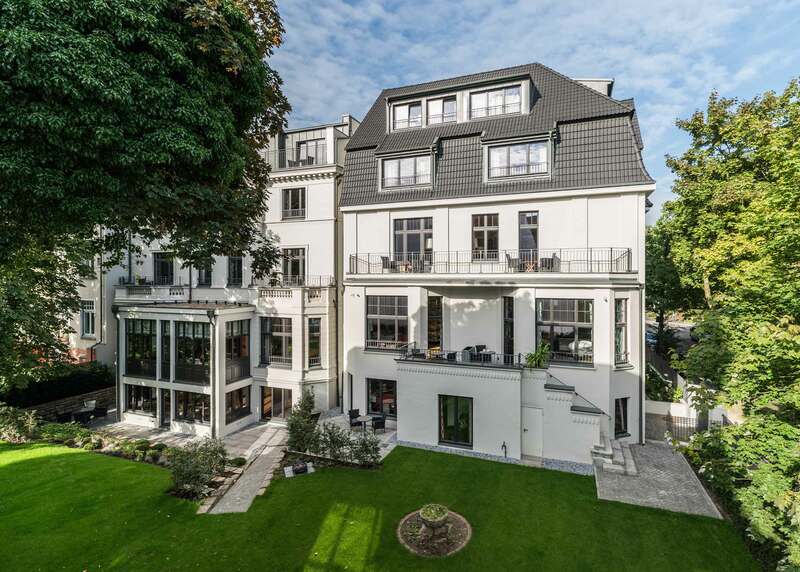 Our house is located in one of the most popular and beautiful districts of Hamburg, with picturesque old buildings, greenery, all intertwined by canals. The Alster is a 2-minute walk away. The lively Winterhude is nearby, as well as Eppendorf and Harvestehude. Get to the centre or the train station by bus or car in just 10 minutes, to the harbour in only 12. Drive practically straight to the airport in 20 minutes.